237. What is to fear God? And how to shun evil? Once humanity has genuine trust in God, they will be genuine in following Him and depending on Him; only with real trust in and dependence on God can humanity have genuine understanding and comprehension; along with real comprehension of God comes real caring for Him; only with genuine caring for God can humanity have genuine obedience; only with genuine obedience to God can humanity have genuine consecration; only with genuine consecration to God can humanity have requital that is unconditional and without complaint; only with genuine trust and dependence, genuine understanding and caring, genuine obedience, genuine consecration and requital, can humanity truly come to know God’s disposition and essence, and to know the identity of the Creator; only when they have truly come to know the Creator can humanity awaken in themselves genuine worship and surrender; only when they have real worship for and surrender to the Creator will humanity be able truly to put aside their evil ways, that is to say, to shun evil. 238. In every age, God bestows some words upon man when He works in the world, telling man of some truths. These truths serve as the way to be adhered to by man, the way that is to be walked in by man, the way that enables man to fear God and shun evil, and the way that people should put into practice and adhere to in their lives and over the course of their life journeys. It’s for these reasons that God bestows these words on man. 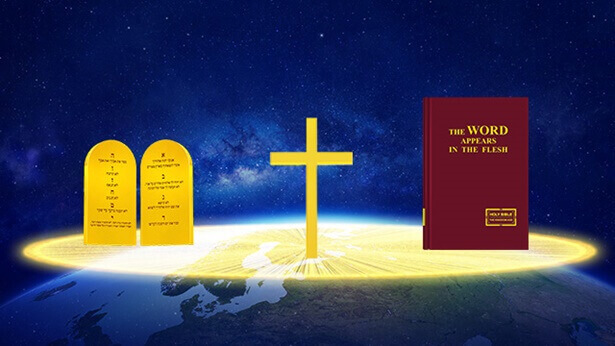 These words that come from God should be adhered to by man, and to adhere to them is to receive life. If a person does not adhere to them, does not put them into practice, and does not live out God’s words in their lives, then this person is not putting truth into practice. And if they’re not putting truth into practice, then they’re not fearing God and shunning evil, nor can they satisfy God. If someone can’t satisfy God, then they cannot receive God’s praise; this kind of person has no outcome. 239. Walking in God’s way is not about observing rules on the surface. Rather, it means that when you’re faced with a matter, first of all, you view it as a circumstance that has been arranged by God, a responsibility bestowed on you by Him, or something that He has entrusted to you, and that when you’re facing this matter, you should even view it as a trial from God. When facing this matter, you must have a standard, you must think that it has come from God. You must think about how to deal with this matter such that you can fulfill your responsibility, and be faithful to God; how to do it and not infuriate God, or offend His disposition. 240. “Fearing God and shunning evil” and knowing God are indivisibly connected by a myriad threads, and the connection between them is self-evident. If one wishes to attain to shunning evil, one must first have real fear of God; if one wishes to attain to real fear of God, one must first have real knowledge of God; if one wishes to attain to knowledge of God, one must first experience God’s words, enter into the reality of God’s words, experience God’s chastening and discipline, His chastisement and judgment; if one wishes to experience God’s words, one must first come face to face with God’s words, come face to face with God, and ask God to furnish opportunities to experience God’s words in the form of all sorts of environments involving people, events, and objects; if one wishes to come face to face with God and with God’s words, one must first possess a simple and honest heart, readiness to accept the truth, the will to endure suffering, the resolution and the courage to shun evil, and the aspiration to become a genuine created being…. In this way, going forward step by step, you will draw ever closer to God, your heart will grow ever more pure, and your life and the value of being alive will, along with your knowledge of God, become ever more meaningful and wax ever more radiant. 241. In order to walk in God’s way, we cannot let go of anything to do with ourselves, or anything that happens around us, even the little things. No matter whether we think we should pay attention to it or not, as long as any matter is facing us we should not let it go. All of it should be viewed as God’s test for us. How’s this kind of attitude? If you have this kind of attitude, then it confirms one fact: Your heart fears God, and your heart is willing to shun evil. If you have this desire to satisfy God, then what you put into practice isn’t far from the standard of fearing God and shunning evil. There are often those who believe that the matters which aren’t paid much heed by people, the matters that aren’t usually mentioned—these are merely minor trifles, and they don’t have anything to do with putting truth into practice. When these people are faced with just such a matter, they don’t give it much thought and let it slide. But in actual fact, this matter is a lesson for which you should be studying, a lesson on how to fear God, on how to shun evil. Moreover, what you should be even more concerned about is knowing what God is doing when this matter arises to face you. God is right at your side, observing every one of your words and deeds, observing your actions, your mind changes—this is God’s work. 242. All matters that involve walking in God’s way aren’t divided into big or small ones. … In terms of everyday matters, there are some which people view as very big and significant, and others that are viewed as minor trifles. People often view these big matters as being the very important ones, and they consider them to be sent by God. However, over the course of these big matters playing out, owing to the immature stature of man, and owing to man’s poor caliber, man is often not up to God’s intentions, cannot obtain any revelations, and cannot acquire any actual knowledge that is of value. So far as the small matters are concerned, these are simply overlooked by man, left to slip away little by little. Thus, they have lost many opportunities to be examined before God, to be tested by Him. Should you always overlook the people, things, and matters, and circumstances that God arranges for you, what will this mean? It means that every day, even every moment, you’re always renouncing God’s perfection of you, and God’s leadership. 243. In your everyday lives, in what things, and in how many things, do you have God-fearing hearts, and in what things do you not? Can you hate people? (Yes.) When you hate someone, you think to yourselves, “I want to make that person suffer, punish that person, and take my revenge against that person”—can you do that? (Yes.) Well then, you are quite scary! You do not have God-fearing hearts. That you could act on those impulses is way too frightening; this disposition is quite vile and very serious! One can hate another person—that is a part of normal humanity; however, actually being able to act on that hate and exact vengeance to achieve one’s own goals and purposes is pretty scary. Some people just hate, and leave it at that. After a while, if they cannot get along with the people they hate, they will start to distance themselves from them and avoid them; however, they do not let this affect their duty or influence their normal interpersonal relationships. They do not act on their hate because they have God in their hearts. Even though they have this idea of hate, this evil thought, they do not act upon it. Because they fear God, do not want to offend God, are afraid to offend God, and they possess God-fearing hearts, they therefore do not utter a word that is out of line. They feel they cannot get along with someone, or have some thoughts and views about them, but they never take any actions, and would not offend God on this matter. What kind of behavior is this? It is conducting oneself and handling things with principle and impartiality. “Although I am incompatible with this person’s humanity and personality, when we work together, I remain impartial, and won’t take my frustrations out on my duty, sacrifice my duty, or take them out on the interests of God’s family.” You may not like this person, but you can still do things according to principle. As such, you have a basic God-fearing heart. If you have a bit more than that, you will be able to help them. When you see they have some faults or weaknesses, even if they have offended you or affronted you, or harmed your interests, you can still help them. This would be even better; this would mean that you are a person who possesses humanity, the reality of truth, and a God-fearing heart..
249. Before you have any of your own views or conclusions, you should first understand God’s attitude toward you, what God is thinking, and then decide whether or not your own thinking is correct. … so long as it isn’t the standard of God’s own thinking, then it comes from man’s imagination, and it’s all man’s conception. What’s the consequence of blindly insisting on your own conception and imagination? Obviously, the consequence can only be God spurning you. This is because you always flaunt your qualifications before God, compete with God, and dispute with God, and you do not try to truly comprehend God’s thinking, nor do you try to comprehend God’s intentions and God’s attitude toward humanity. Proceeding like this is honoring yourself above all, not honoring God. You believe in yourself; you don’t believe in God. God doesn’t want this type of person, and God won’t save this type of person. If you can let go of this kind of viewpoint, and then rectify these incorrect viewpoints of the past; if you could proceed according to God’s demands; start practicing the way of fearing God and shunning evil from this point forward; manage to honor God as great in all things; don’t use your own personal fancies, viewpoints, or beliefs to define yourself, define God. And instead, you seek out God’s intentions in all respects, you achieve a realization and understanding of God’s attitude toward humanity, and you use God’s standard to satisfy God—that would be wonderful! This would mean you are about to embark on the way of fearing God and shunning evil. 250. I urge each and every one of you here to be cautious and prudent in your actions. Be cautious and prudent in your speaking. And regarding how you treat God, the more cautious and prudent you are, the better! When you don’t understand what God’s attitude is, don’t speak carelessly, don’t be careless in your actions, and don’t carelessly apply labels. Even more, don’t arbitrarily come to conclusions. Instead, you should wait and seek; this is also a manifestation of fearing God and shunning evil. If you can achieve this point above all, and possess this attitude above all, then God will not blame you for your stupidity, your ignorance, and your unreasonableness. Instead, owing to your fear of offending God, your respect for God’s intentions, and your attitude of willingness to obey Him, God will remember you, guide and enlighten you, or tolerate your immaturity and ignorance. Conversely, should your attitude toward Him be irreverent—arbitrarily judging God, arbitrarily guessing and defining God’s ideas—God will give you a conviction, discipline, even punishment; or He will give you a statement. Perhaps this statement involves your outcome. Therefore, I still want to emphasize this once more, and inform everyone present to be cautious and prudent toward everything that comes from God. Don’t speak carelessly, and don’t be careless in your actions. Before you say anything, you should think: Would doing this anger God? Is doing this fearing God? Even for simple matters, you should still really try to figure these questions out, really consider them. 251. God is always in the hearts of those who genuinely believe in God and they always carry within them a God-revering heart, a God-loving heart. Those who believe in God should do things with a cautious and prudent heart, and all they do should be in accordance with God’s requirements and be able to satisfy the heart of God. They should not be headstrong, doing whatever they please; that does not befit saintly propriety. People cannot flaunt God’s banner and run amok with it everywhere, swaggering and swindling everywhere; doing this is the most rebellious conduct. 252. First of all we know that God’s disposition is majesty, is wrath. He is not a sheep to be slaughtered by anyone; even more, He is not a puppet to be controlled by people however they want. He is also not empty air to be bossed around by people. If you really believe that God exists, you should have a heart that fears God, and you should know that God’s essence is not to be angered. This anger may be caused by a word; perhaps a thought; perhaps some kind of vile behavior; perhaps mild behavior, behavior that’s passable in the eyes and ethics of man; or perhaps it is caused by a doctrine, a theory. However, once you anger God, your opportunity is lost and your end days have arrived. This is a terrible thing! If you don’t understand that God cannot be offended, then maybe you aren’t afraid of God, and maybe you offend Him all the time. If you don’t know how to fear God, then you’re unable to fear God, and you don’t know how to put yourself on the path of walking in God’s way—fearing God and shunning evil. Once you become aware, you can be conscious that God cannot be offended, then you will know what it is to fear God and shun evil. 253. You should be crystal clear on this, and understand that the essence of God is immutable, and His disposition will issue forth at different times, and in different contexts. You might not think that this is a serious issue, and you use your own personal conceptions to imagine how God should do things. But there are times when the total opposite of your viewpoint is true, and that by using your own personal conceptions to try and gauge God, you’ve already angered Him. This is because God doesn’t operate like you think He does, and God won’t treat this matter like you say He will. And so I remind you to be careful and prudent in your approach to everything around you, and learn how to follow the principle of walking in God’s way in all things—fearing God and shunning evil. You must develop a firm understanding on matters of God’s will and God’s attitude; find enlightened people to communicate it to you, and seek earnestly. Don’t view the God of your belief as a puppet—arbitrarily judging, arriving at arbitrary conclusions, not treating God with the respect He deserves. 254. God is a living God, and just as people perform differently in different situations, God’s attitude toward these performances differs because He is not a puppet, nor is He empty air. Getting to know God’s attitude is a worthy pursuit for mankind. People should learn how, by knowing God’s attitude, they can know God’s disposition and understand His heart bit by bit. When you come to understand God’s heart bit by bit, you won’t feel that fearing God and shunning evil is a difficult thing to accomplish. What’s more, when you understand God, you’re not likely to make conclusions about Him. When you stop making conclusions about God, you’re not likely to offend Him, and unwittingly God will lead you to have a knowledge of Him, and thereby you will fear God in your heart. You will stop defining God using the doctrines, the letters, and the theories you’ve mastered. Rather, by always seeking out God’s intentions in all things, you will unconsciously become a person who is after God’s heart. 255. Job was disciplined in his lifestyle, and was not greedy or hedonistic, nor did he fixate upon quality of life, as a result of God’s blessings to him. Instead, he was humble and modest, and cautious and careful before God, he often gave thought to God’s graces and blessings, and was continually fearful of God. In his daily life, Job often rose early to offer burnt offerings for his sons and daughters. In other words, not only did Job himself fear God, but he also hoped that his children would likewise fear God and not sin against God. 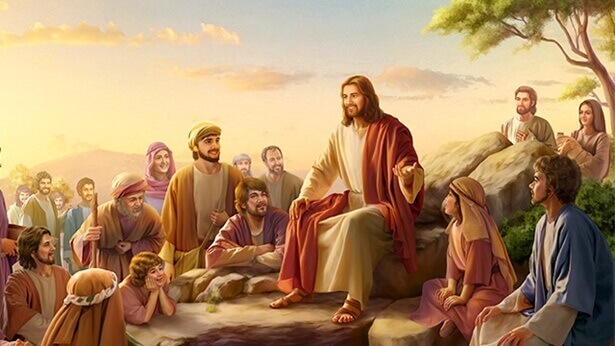 Job’s material wealth held no place within his heart, nor did it replace the position held by God; whether for the sake of himself or his children, Job’s daily actions were all connected to fearing God and shunning evil. His fear of Jehovah God did not stop at his mouth, but was put into action, and reflected in each and every part of his daily life. This actual conduct by Job shows us that he was honest, and was possessed of a substance that loved justice and things that were positive. That Job often sent and sanctified his sons and daughters means he did not sanction or approve of his children’s behavior; instead, in his heart he was fed up with their behavior, and condemned them. He had concluded that the behavior of his sons and daughters was not pleasing to Jehovah God, and thus he often called on them to go before Jehovah God and confess their sins. Job’s actions show us another side of his humanity: one in which he never walked with those who often sinned and offended God, but instead shunned and avoided them. Even though these people were his sons and daughters, he did not forsake his own principles because they were his own kin, nor did he indulge their sins because of his own sentiments. Rather, he urged them to confess and gain Jehovah God’s forbearance, and he warned them not to forsake God for the sake of their own greedy enjoyment. The principles of how Job treated others are inseparable from the principles of his fear of God and shunning of evil. He loved that which was accepted by God, and loathed that which repulsed God, and he loved those who feared God in their hearts, and loathed those who committed evil or sinned against God. Such love and loathing was demonstrated in his everyday life, and was the very uprightness of Job seen by God’s eyes. Naturally, this is also the expression and living out of Job’s true humanity in his relations with others in his daily life that we must learn about. 256. Job’s honesty made him able to believe that Jehovah’s hand rules over all things; his belief allowed him to know the fact of Jehovah God’s sovereignty over all things; his knowledge made him willing and able to obey Jehovah God’s sovereignty and arrangements; his obedience enabled him to be more and more true in his fear of Jehovah God; his fear made him more and more real in his shunning of evil; ultimately, Job became perfect because he feared God and shunned evil; and his perfection made him wise, and gave him the utmost rationality. 257. Though the Bible tells us of the origins of Job’s temptation, was Job himself, the one subjected to these temptations, aware of what was going on? Job was just a mortal man; of course he knew nothing of the story unfolding behind him. Nevertheless, his fear of God, and his perfection and uprightness, made him realize that the trials of God had come upon him. He did not know what had occurred in the spiritual realm, nor what the intentions of God were behind these trials. But he did know that regardless of what happened to him, he should hold true to his perfection and uprightness, and should abide by the way of fearing God and shunning evil. Job’s attitude and reaction to these matters were clearly beheld by God. And what did God see? He saw Job’s heart that feared God, because from the beginning right through until when Job was tried, Job’s heart remained open to God, it was laid before God, and Job did not renounce his perfection or uprightness, nor did he cast away or turn from the way of fearing God and shunning evil—and nothing was more gratifying to God. 258. The Scriptures provide the following account: “Then Job arose, and rent his mantle, and shaved his head, and fell down on the ground, and worshipped.” This was Job’s first reaction after hearing that he had lost his children and all of his property. Above all, he did not appear surprised, or panic-stricken, much less did he express anger or hate. You see, then, that in his heart he had already recognized that these disasters were not an accident, or born from the hand of man, much less were they the arrival of retribution or punishment. Instead, the trials of Jehovah God had come upon him; it was Jehovah God who wished to take his property and children. Job was very calm and clear-headed then. His perfect and upright humanity enabled him to rationally and naturally make accurate judgments and decisions about the disasters that had befallen him, and in consequence, he behaved with unusual calm: “Then Job arose, and rent his mantle, and shaved his head, and fell down on the ground, and worshipped.” “Rent his mantle” means that he was unclothed, and possessed of nothing; “shaved his head” means he had returned before God as a newborn infant; “fell down on the ground, and worshipped” means he had come into the world naked, and still without anything today, he was returned to God as a newborn baby. Job’s attitude toward all that befell him could not have been achieved by any creature of God. His faith in Jehovah God went beyond the realm of belief; this was his fear of God, and obedience to God, and he was not only able to give thanks to God for giving to him, but also for taking from him. What’s more, he was able to take it upon himself to return all that he owned, including his life. 259. Job’s fear and obedience toward God is an example to mankind, and his perfection and uprightness were the peak of the humanity that ought to be possessed by man. Though he did not see God, he realized that God truly existed, and because of this realization he feared God—and due to his fear of God, he was able to obey God. He gave God free rein to take whatever he had, yet he was without complaint, and fell down before God and told Him that, at this very moment, even if God took his flesh, he would gladly allow Him to do so, without complaint. His entire conduct was due to his perfect and upright humanity. Which is to say, as a result of his innocence, honesty, and kindness, Job was unwavering in his realization and experience of God’s existence, and upon this foundation he made demands of himself and standardized his thinking, behavior, conduct and principles of actions before God in accordance with God’s guidance of him and the deeds of God that he had seen among all things. Over time, his experiences caused in him a real and actual fear of God and made him shun evil. This was the source of the integrity to which Job held firm. Job was possessed of an honest, innocent, and kind humanity, and he had actual experience of fearing God, obeying God, and shunning evil, as well as the knowledge that “Jehovah gave, and Jehovah has taken away.” Only because of these things was he able to stand fast and bear witness amid such vicious attacks of Satan, and only because of them was he able to not disappoint God and to provide a satisfactory answer to God when God’s trials came upon him. 260. Here we read of the archetypal words spoken by Job, words which are proof that he had overcome Satan. He said: “Naked came I out of my mother’s womb, and naked shall I return thither.” This is Job’s attitude of obedience toward God. Next, he then said: “Jehovah gave, and Jehovah has taken away; blessed be the name of Jehovah.” These words spoken by Job prove that God observes the depths of man’s heart, that He is able to look into the mind of man, and they prove that His approval of Job is without error, that this man who was approved by God was righteous. “Jehovah gave, and Jehovah has taken away; blessed be the name of Jehovah.” These words are Job’s testimony to God. It was these ordinary words that cowed Satan, that brought shame upon it and caused it to flee in panic, and, moreover, that shackled Satan and left it without resources. So, too, did these words make Satan feel the wondrousness and might of the deeds of Jehovah God, and allow it to perceive the extraordinary charisma of one whose heart was ruled by the way of God. Moreover, they demonstrated to Satan the powerful vitality shown by a small and insignificant man in adhering to the way of fearing God and shunning evil. 261. During his life over the previous several decades, Job had beheld the deeds of Jehovah God and gained Jehovah God’s blessings for him. They were blessings that left him feeling enormously uneasy and indebted, for he believed that he had not done anything for God, yet had been bequeathed with such great blessings and had enjoyed so much grace. For this reason, in his heart he often prayed, hoping that he would be able to repay God, hoping that he would have the opportunity to bear testimony to God’s deeds and greatness, and hoping that God would put his obedience to the test, and, moreover, that his faith could be purified, until his obedience and his faith gained God’s approval. And when the trial came upon Job, he believed that God had heard his prayers. Job cherished this opportunity more than anything else, and thus he didn’t dare treat it lightly, for his greatest lifelong wish could be realized. The arrival of this opportunity meant that his obedience and fear of God could be put to the test, and could be made pure. Moreover, it meant that Job had a chance to gain God’s approval, thus bringing him closer to God. During the trial, such faith and pursuit allowed him to become more perfect, and to gain a greater understanding of God’s will. Job also became more grateful for God’s blessings and graces, in his heart he poured greater praise on the deeds of God, and he was more fearful and reverent of God, and longed more for God’s loveliness, greatness, and holiness. At this time, though Job was still one who feared God and shunned evil in the eyes of God, with regard to his experiences, Job’s faith and knowledge had come on in leaps and bounds: His faith had increased, his obedience had gained a foothold, and his fear of God had become more profound. Though this trial transformed Job’s spirit and life, such a transformation did not satisfy Job, nor did it slow his progress onward. At the same time as calculating what he had gained from this trial, and considering his own deficiencies, he quietly prayed, waiting for the next trial to come upon him, because he yearned for his faith, obedience, and fear of God to be elevated during the next trial of God. 262. When his wife advised him to curse God and die…. Faced with the advice of his wife, Job not only didn’t give up his integrity or renounce God, but he also said to his wife: “shall we receive good at the hand of God, and shall we not receive evil?” … In this, Job’s perfection, uprightness, fear of God, and shunning of evil were proven. The preciousness of Job lay in how, when he was tempted, and even when his whole body was covered with sore boils, when he endured the utmost torment, and when his wife and kinfolk advised him, he still uttered such words. To put it in another way, in his heart he believed that, no matter what temptations, or however grievous the tribulations or torment, even if death was to come upon him, he would not renounce God or spurn the way of fearing God and shunning evil. You see, then, that God held the most important place in his heart, and that there was only God in his heart. It is because of this that we read such descriptions of him in the Scriptures as: In all this did not Job sin with his lips. Not only did he not sin with his lips, but in his heart he did not complain about God. He did not say hurtful words about God, nor did he sin against God. Not only did his mouth bless the name of God, but in his heart he also blessed the name of God; his mouth and heart were as one. This was the true Job seen by God, and this was the very reason why God treasured Job. 263. When Satan stretched forth its hand to afflict the bones of Job, Job fell into its clutches, without the means to escape or the strength to resist. His body and soul suffered enormous pain, and this pain made him deeply aware of the insignificance, frailty, and powerlessness of man living in the flesh. At the same time, he also gained a profound understanding of why God is of a mind to care for and look after mankind. In Satan’s clutches, Job realized that man, who is of flesh and blood, is actually so powerless and weak. When he fell to his knees and prayed to God, he felt as if God was covering His face, and hiding, for God had completely placed him in the hands of Satan. At the same time, God also wept for him, and, moreover, was aggrieved for him; God was pained by his pain, and hurt by his hurt…. Job felt God’s pain, as well as how unbearable it was for God…. Job did not want to bring any more grief upon God, nor did he want God to weep for him, much less did he want to see God pained by him. At this moment, Job wanted only to divest himself of his flesh, to no longer endure the pain brought upon him by this flesh, for this would stop God being tormented by his pain—yet he could not, and he had to tolerate not only the pain of the flesh, but also the torment of not wishing to make God anxious. These two pains—one from the flesh, and one from the spirit—brought heart-rending, gut-wrenching pain upon Job, and made him feel how the limitations of man who is of flesh and blood can make one feel frustrated and helpless. Under these circumstances, his yearning for God grew fiercer, and his loathing of Satan became more intense. At this time, Job would have preferred to have never been born into the world of man, would rather that he did not exist, than see God cry tears or feel pain for his sake. He began to deeply loathe his flesh, to be sick and tired of himself, of the day of his birth, and even of all that which was connected to him. He did not wish there to be any more mention of his day of birth or anything to do with it, and so he opened his mouth and cursed the day of his birth: “Let the day perish wherein I was born, and the night in which it was said, There is a man child conceived. Let that day be darkness; let not God regard it from above, neither let the light shine on it” (Job 3:3-4). Job’s words bear his loathing for himself, “Let the day perish wherein I was born, and the night in which it was said, There is a man child conceived,” as well as his reproval of himself and sense of indebtedness for causing pain to God, “Let that day be darkness; let not God regard it from above, neither let the light shine on it.” These two passages are the ultimate expression of how Job felt then, and fully demonstrate his perfection and uprightness to all. At the same time, just as Job had wished, his faith and obedience to God, as well as his fear of God, were truly elevated. Of course, this elevation is precisely the effect that God had expected. 264. When Job first underwent his trials, he was stripped of all his property and all of his children, but he did not fall down or say anything that was a sin against God as a result. He had overcome the temptations of Satan, and he had overcome his material assets and offspring, and the trial of losing all his worldly possessions, which is to say he was able to obey God’s taking away from him and offer thanks and praise to God because of it. Such was Job’s conduct during Satan’s first temptation, and such was also Job’s testimony during the first trial of God. In the second trial, Satan stretched forth its hand to afflict Job, and although Job experienced pain greater than he had ever felt before, still his testimony was enough to leave people astounded. He used his fortitude, conviction, and obedience to God, as well as his fear of God, to once more defeat Satan, and his conduct and his testimony were once more approved of and favored by God. During this temptation, Job used his actual conduct to proclaim to Satan that the pain of the flesh could not alter his faith and obedience to God or take away his devotion to God and fear of God; he would not renounce God or give up his own perfection and uprightness because he faced death. Job’s determination made a coward of Satan, his faith left Satan timorous and trembling, the force of his life-and-death battle with Satan bred in Satan a deep hatred and resentment, his perfection and uprightness left Satan with nothing more it could do to him, such that Satan abandoned its attacks on him and gave up its accusations against Job before Jehovah God. This meant that Job had overcome the world, he had overcome the flesh, he had overcome Satan, and he had overcome death; he was completely and utterly a man who belonged to God. During these two trials, Job stood firm in his testimony, and actually lived out his perfection and uprightness, and broadened the scope of his living principles of fearing God and shunning evil. 266. Job’s testimony is a warning to later generations, and this warning tells them that if they do not defeat Satan, then they will never be able to rid themselves of the accusations and interference of Satan, nor will they ever be able to escape the abuse and attacks of Satan. Job’s testimony has enlightened later generations. This enlightenment teaches people that only if they are perfect and upright are they able to fear God and shun evil; it teaches them that only if they fear God and shun evil can they bear strong and resounding testimony to God; only if they bear strong and resounding testimony to God can they never be controlled by Satan, and live under the guidance and protection of God—and only then will they have been truly saved. Job’s personality and his life’s pursuit should be emulated by everyone who pursues salvation. That which he lived out during his whole life and his conduct during his trials is a precious treasure to all those who pursue the way of fearing God and shunning evil. 267. For Job’s heart was pure, and not hidden from God, and his humanity was honest and kind-hearted, and he loved justice and that which was positive. Only a man like this who was possessed of such a heart and humanity was able to follow the way of God, and capable of fearing God and shunning evil. Such a man could see God’s sovereignty, could see His authority and power, and was able to achieve obedience to His sovereignty and arrangements. Only a man such as this could truly praise God’s name. That is because he did not look at whether God would bless him or bring disaster upon him, because he knew that everything is controlled by the hand of God, and that for man to worry is a sign of foolishness, ignorance, and irrationality, of doubt toward the fact of God’s sovereignty over all things, and of not fearing God. Job’s knowledge was precisely what God wanted. 268. Job had not seen the face of God, or heard the words spoken by God, much less had he personally experienced the work of God, but his fear of God and testimony during his trials are witnessed by all, and they are loved, delighted in, and commended by God, and people envy and admire them, and, moreover, sing their praises. There was nothing great or extraordinary about his life: Just like any ordinary person, he lived an unremarkable life, going out to work at sunrise and returning home to rest at sunset. The difference is that during these several unremarkable decades, he gained an insight into the way of God, and realized and understood the great power and sovereignty of God, as no other person ever had. He was no cleverer than any ordinary person, his life was not especially tenacious, nor, moreover, did he have invisible special skills. What he did possess, though, was a personality that was honest, kind-hearted, upright, a personality which loved fairness and righteousness, and which loved positive things—none of which are possessed by most ordinary people. He differentiated between love and hate, had a sense of justice, was unyielding and persistent, and was diligent in his thoughts, and thus during his unremarkable time on earth he saw all the extraordinary things that God had done, and saw the greatness, holiness, and righteousness of God, he saw God’s concern, graciousness, and protection for man, and saw the honorableness and authority of the supreme God. The first reason why Job was able to gain these things that were beyond any normal person was because he had a pure heart, and his heart belonged to God, and was led by the Creator. The second reason was his pursuit: his pursuit of being impeccable, and perfect, and someone who complied with the will of Heaven, who was loved by God, and shunned evil. Job possessed and pursued these things while being unable to see God or hear the words of God; though he had never seen God, he had come to know the means by which God rules over all things, and understood the wisdom with which God does so. Though he had never heard the words spoken by God, Job knew that the deeds of rewarding man and taking from man all come from God. Although the years of his life were no different from those of any ordinary person, he did not allow the unremarkableness of his life to affect his knowledge of God’s sovereignty over all things, or to affect his following of the way of fearing God and shunning evil. In his eyes, the laws of all things were full of God’s deeds, and God’s sovereignty could be seen in any part of a person’s life. He had not seen God, but he was able to realize that God’s deeds are everywhere, and during his unremarkable time on earth, in every corner of his life he was able to see and realize the extraordinary and wondrous deeds of God, and could see the wondrous arrangements of God. The hiddenness and silence of God did not hinder Job’s realization of God’s deeds, nor did they affect his knowledge of God’s sovereignty over all things. His life was the realization of the sovereignty and arrangements of God, who is hidden among all things, during his everyday life. In his everyday life he also heard and understood the voice of God’s heart, and the words of God, who is silent among all things yet expresses the voice of His heart and His words by governing the laws of all things. You see, then, that if people have the same humanity and pursuit as Job, then they can gain the same realization and knowledge as Job, and can acquire the same understanding and knowledge of God’s sovereignty over all things as Job. God had not appeared to Job or spoken to him, but Job was able to be perfect, and upright, and to fear God and shun evil. In other words, without God having appeared to or spoken to man, God’s deeds among all things and His sovereignty over all things are sufficient for a man to become aware of God’s existence, power, and authority, and God’s power and authority are enough to make this man follow the way of fearing God and shunning evil. Since an ordinary man such as Job was able to achieve the fear of God and shunning of evil, then every ordinary person who follows God should also be able to. Though these words may sound like logical inference, this does not contravene the laws of things. 269. Did Job live a life of value? Where was the value? 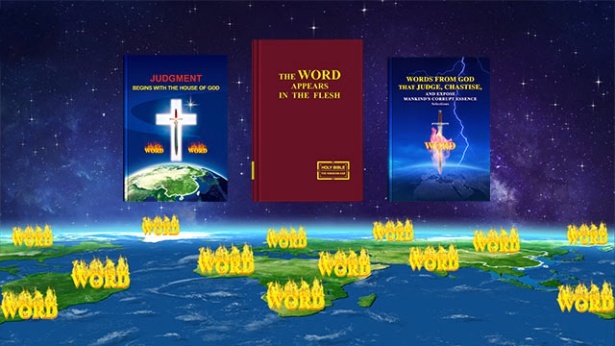 … From the viewpoint of man, he represented the mankind whom God wishes to save, in bearing a resounding testimony to God before Satan and the people of the world. He fulfilled the duty that ought to be fulfilled by a creature of God, and set an exemplar, and acted as a model, for all those whom God wishes to save, allowing people to see that it is entirely possible to triumph over Satan by relying on God. And what was his value to God? To God, the value of Job’s life lay in his ability to fear God, worship God, testify to the deeds of God, and praise the deeds of God, bringing God comfort and something to enjoy; to God, the value of Job’s life was also in how, before his death, Job experienced trials and triumphed over Satan, and bore resounding testimony to God before Satan and the people of the world, glorifying God among mankind, comforting God’s heart, and allowing God’s eager heart to behold an outcome, and see hope. His testimony set a precedent for the ability to stand firm in one’s testimony to God, and for being able to shame Satan in behalf of God, in God’s work of managing mankind. Is this not the value of Job’s life? Job brought comfort to God’s heart, he gave God a foretaste of the delight of being glorified, and provided a wonderful beginning for God’s management plan. And from this point onward the name of Job became a symbol for the glorification of God, and a sign of mankind’s triumph over Satan. What Job lived out during his lifetime and his remarkable triumph over Satan will forever be cherished by God, and his perfection, uprightness, and fear of God will be venerated and emulated by generations to come. He will forever be cherished by God like a flawless, luminous pearl, and so too is he worth treasuring by man!